Jannette Kerr PPRWA RSA (Hon) (b. 1959) is a painter of wildness. She seeks out places where change is swift, powerful and where the sea boils. 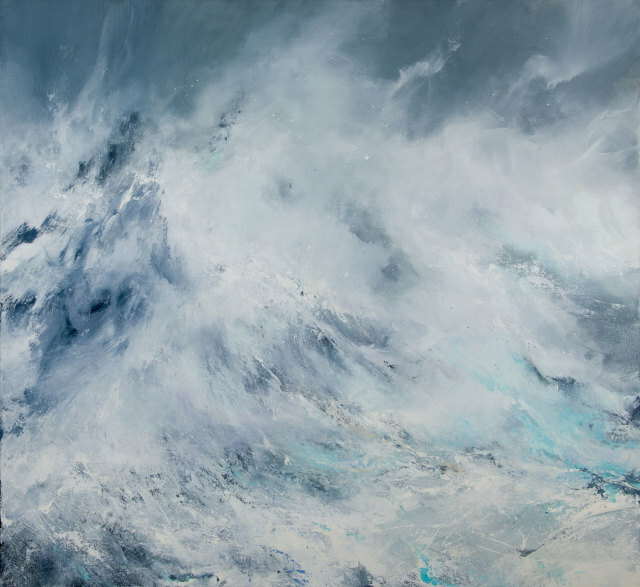 The uncompromising nature of her work incorporates all the energy of Action Painting with the tangible sensations of wind-swept waves, salt spray and ocean swell. Kerr normally paints from her studios in Shetland or Somerset; but often seeks out even wilder and remoter experiences. In 2016 she was part of an art and science expedition to the Antarctic. Janette Kerr was President of the Royal West of England Academy from 2011-2016, an Honorary Royal Academician and a visiting Research Fellow in Fine Art at the University of the West of England.